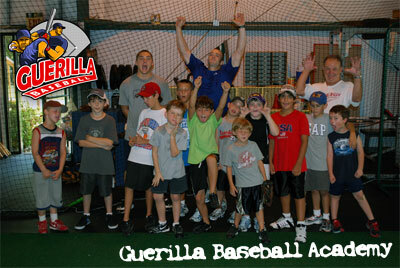 Sign up today for the Guerilla Camp this Mardi Gras break! February 17th – 19th. You must be signed up by the 13th to attend the camp. The camp times are each day from 10am to 1pm. Bring your glove, bat and tennis shoes. Camp age groups include 7 – 12. Coaches running the camp are Coach Brent and Coach Chuck. The price for the 3 day camp is $99. You can sign up here or at the facility. When signing up online select “Guerilla Camp” where it asks for “Membership Type.” You can make payment online or at the facility as well. You must sign up before the 13th of February to attend the camp.